OptinMonster vs Thrive Leads: Which Is Best for Lead Generation? OptinMonster and Thrive Leads can both help you build your email list and generate leads from your website. But which can get you better leads, faster? See our point-by-point comparison before you decide. Are you looking for the best WordPress popup plugin to grow your email list as quickly as possible? Not sure whether you should use OptinMonster or Thrive Leads? Both Thrive Leads and OptinMonster are popular solutions for growing your email list and generating leads from your website. But don’t be fooled – there are some very big differences between the two, and making the wrong choice could hurt your bottom line. Choose the wrong WordPress popup plugin, and you risk missing out on a lot of leads. To make sure you’re choosing the right lead generation tool for your needs, read our detailed OptinMonster vs. Thrive Leads comparison below. The most important factor in choosing a lead generation solution is: what kind of website can you use it on? Thrive Leads is a WordPress plugin only, so you have to have a WordPress website in order to use it. The Thrive Leads plugin and all your settings, leads, conversion analytics, and other data is stored on your WordPress website. 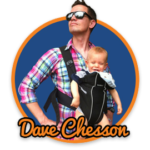 You’re responsible for your own site security and backups so that you don’t lose that data. On the other hand, OptinMonster is a standalone app that lives on its own website. To create your lead generation campaigns, you just log in to your OptinMonster account at app.optinmonster.com. Adding your campaigns to a WordPress website is as simple as using the connector plugin. 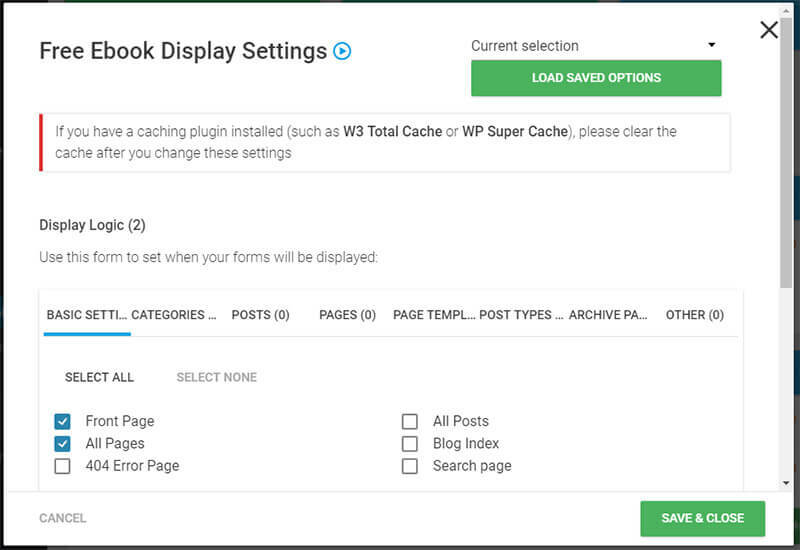 In the OptinMonster WordPress plugin, you can also choose additional settings for displaying your campaigns on certain posts, categories, and tags – but we’ll get more into those Display Rules below. But there’s more – OptinMonster doesn’t just work on WordPress sites, but on any kind of website. That means you can use the same campaigns on your Shopify or Magento store, Blogger blog, Squarespace site, or even a static HTML website. In fact, there’s even a separate OptinMonster Shopify app with extra targeting options. Automatic Cloud Backup: No need to worry about losing your data since it’s in the cloud already. Fast and Reliable: The speed of your optin forms doesn’t depend on your web hosting company’s speed. Doesn’t Use Up Website Storage Space: Since your campaigns live in the OptinMonster app, they don’t use up your website storage. 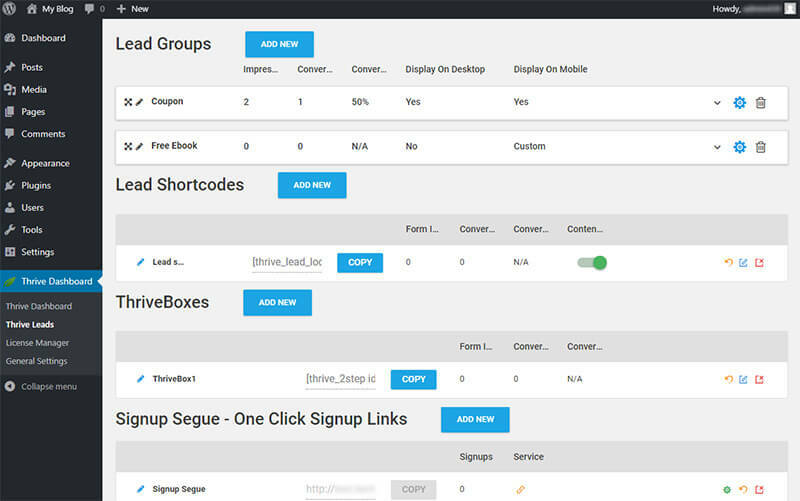 Manage Multiple Websites in One Place: You can move or copy campaigns between sites, and much more – see Account Management Comparison below! 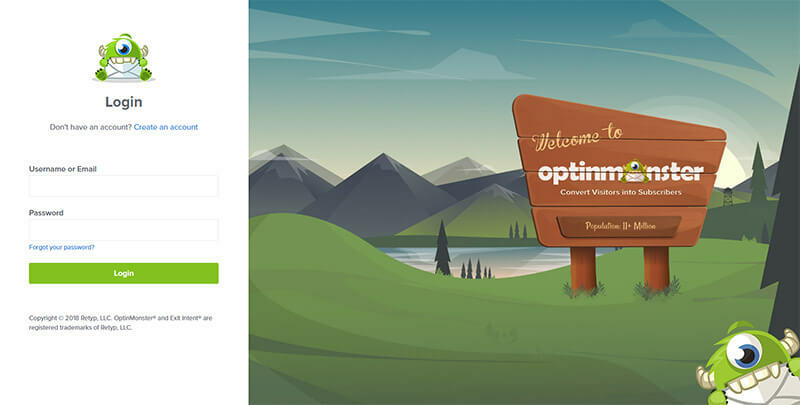 If you need a Thrive Leads alternative that works on non-WordPress sites, OptinMonster is the answer. How easy is it to create a new popup or other campaign in OptinMonster and Thrive Leads? Let’s take a look at OptinMonster’s campaign creation process first. After logging in, you’ll see a list of the sites you have set up. You can click on the site name to see all the campaigns you’ve created for that website. 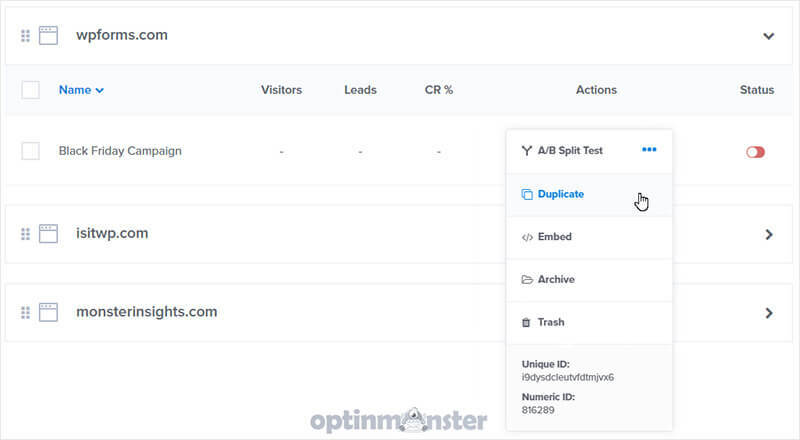 From here, you can edit the campaign, create a variation to A/B split test, view in-depth stats, duplicate the campaign, or archive or trash it. To create a new campaign, simply click the Create Campaign button at the top. 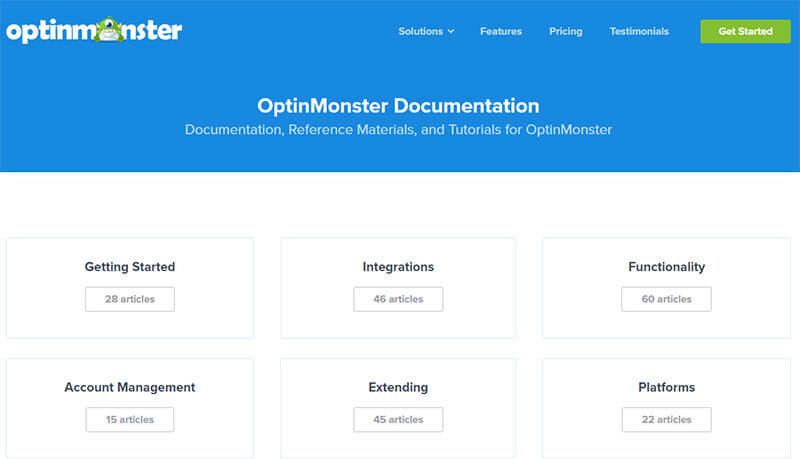 OptinMonster has dozens of high converting pre-designed themes available, each with a unique design and layout. 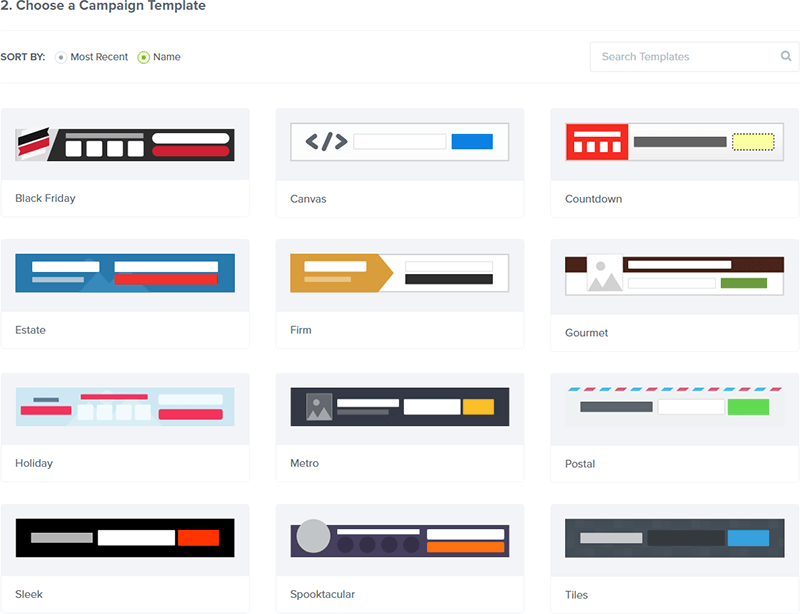 Not only that, but you can also design and code your own campaigns from scratch using OptinMonster Canvas technology. All right, now let’s see how that compares to the Thrive Leads campaign creation process. In the Thrive Leads dashboard, you have some options to choose from once you get to the dashboard. 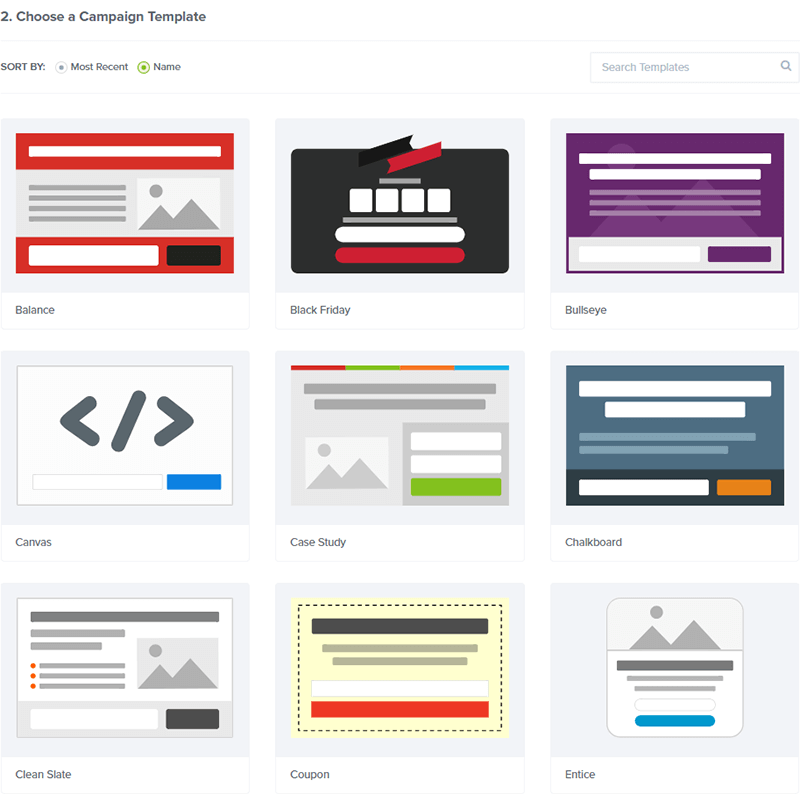 There’s a bit of a learning curve here – how do you get started creating a popup or other campaign, with all those Add New buttons? So if you add multiple lightbox popups to a Lead Group, only one will show on your site – unless you click the Start A/B Test button. Then, all the forms will be tested against each other, with traffic split equally among them. 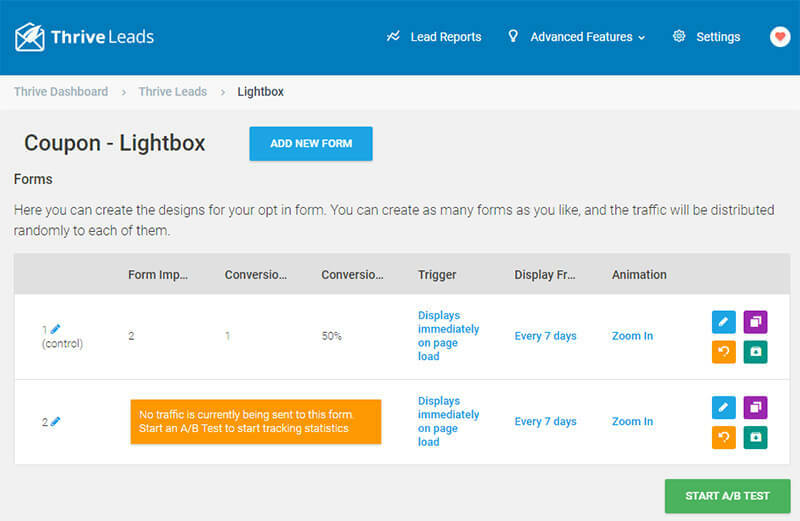 If you want to create two different lightbox campaigns for the same offer without split testing them, you’ll need to create a separate Lead Group to add it to. Then there’s Thrive Lead Shortcodes. These are also used to create campaigns. But you can only create inline campaigns with shortcodes. Then, you can copy and paste the shortcode for your campaign into a post or page. But if you want to automatically have it added to your content and set up other display rules, you’ll need to create a separate inline campaign in a Lead Group too. Now, what about Thrive Lightboxes vs. Thrive Leads “Thriveboxes”? Thriveboxes (sometimes spelled “ThriveBoxes”) are another option for creating campaigns. 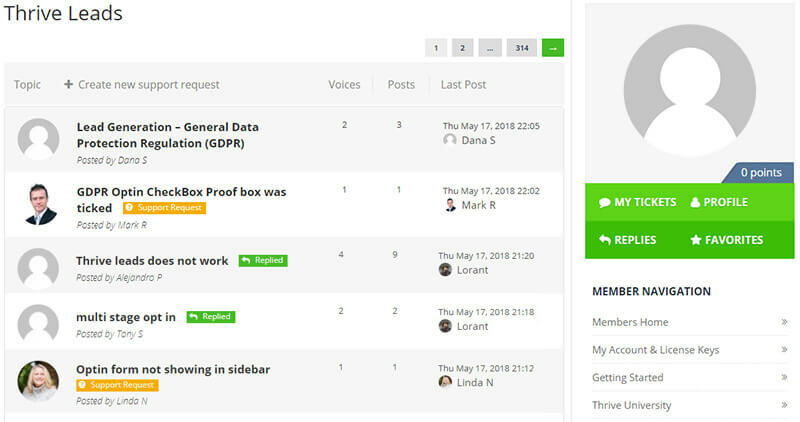 ThriveBoxes are also lightbox popups, which you can also create in Lead Groups (also called “Thrive Lightboxes”). Except Thrive Boxes can only be triggered on click, using a shortcode, but Thrive Lightboxes can be triggered by other means (just not manually), as we’ll see below. The last option, Signup Segue, is actually not a list building campaign at all – though it says “one click signup links,” it’s specifically for webinar signups, not email signups. This tool creates a special link that signs people up for your GoToWebinar or WebinarJam Studio webinars automatically when they click on it. Now that we’ve seen how the basic campaign creation process works, let’s take a look at your options for displaying them to the right audience at the right time. So, what kind of targeting options do you get with OptinMonster vs. Thrive Leads? Let’s take a look at Thrive Leads. You can decide where a Lead Group should appear by clicking on the gear icon on the right. Then select the posts, pages, categories, or tags you want your Lead Group to appear on. 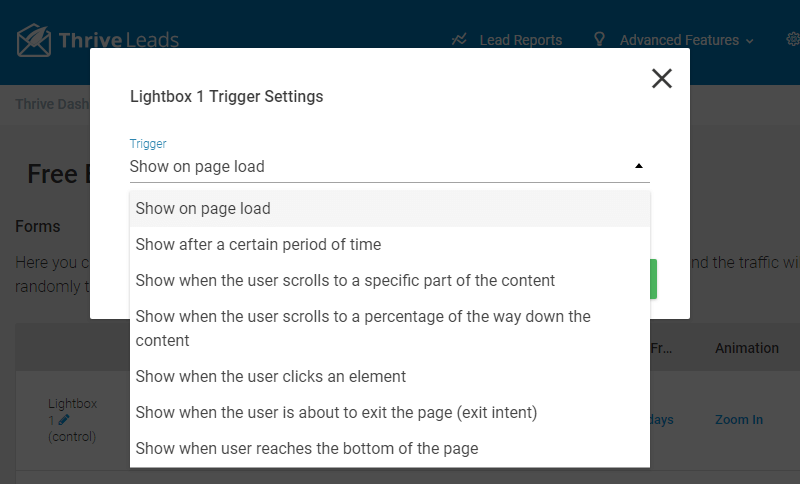 Note that these display settings will apply to ALL campaigns in the Lead Group (popups, headers, inline campaigns, widgets, etc.). If you want your popup to appear on one post, but your inline campaign to display on another, they need to be in separate Lead Groups. If they’re in the same Lead Group, they’ll all appear together on the same pages. Unfortunately, there’s no way to duplicate an optin form to a separate Lead Group, or move it from one Lead Group to another. 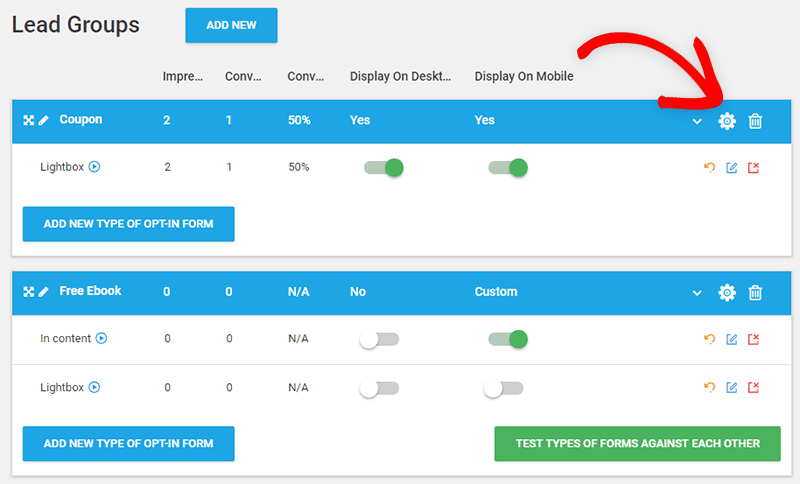 So if you want to have separate display settings, you’ll need to re-create it from scratch in a separate Lead Group (or as a ThriveBox if you prefer). Luckily, you can choose your campaign triggers separately for each campaign. Just edit the campaign and then click the setting underneath the Trigger column. By default, your popups will be set to load immediately, which isn’t great for conversions. Remember, there are no display settings for Lead Shortcodes or Thrive Leads ThriveBoxes (though there are for Thrive Leads Lightboxes in a Lead Group) because they’re both implemented manually with shortcodes. Now let’s look at how OptinMonster handles campaign targeting and triggers with Display Rules. 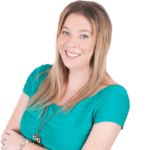 OptinMonster’s advanced Display Rules are what makes it such a powerful conversion optimization and lead generation solution. You can select whatever Display Rules you need while creating your campaign. Targeting your campaigns for specific pages is just the beginning. If you want to really fine-tune your lead generation to get the most possible conversions, you can do that here. Visitors who already opted in to another campaign of yours – or only to visitors who ignored a specific previous offer. Brand-new visitors, or only to visitors who’ve been to your site before. Visitors in a specific geographic location (great for retail stores and location-specific offers, or GDPR compliance). Visitors who clicked on a link to your site from Facebook, or a guest post on a specific site, or a particular ad campaign. Visitors who are using ad-blocking software. Visitors who have viewed 3 or more pages on your site (or whatever number you choose). This ensures that only people who are truly interested will see it. This opens up a LOT of advanced options for skyrocketing your email list and conversions. One thing that makes OptinMonster’s Display Rules so powerful is that you can easily combine different rules. For example, you could make sure to target engaged and interested visitors by setting a lightbox popup to appear after scrolling down 50% of the page, but only if they’ve been on the page for 20 seconds. You can even add different rulesets to set separate triggers for the same campaign, without having to recreate a separate campaign. This kind of fine-tuned targeting is impossible with Thrive Leads. Did you know that over half of all web traffic now comes from mobile devices? That means that if you don’t have an effective strategy for capturing leads on mobile, you could be ignoring most of your potential buyers. Which lead generation solution is the most powerful when it comes to mobile lead gen: OptinMonster, or Thrive Leads? Both OptinMonster and Thrive Leads allow you to create campaigns that are targeted to mobile users. OptinMonster is unique in that it also has several features designed to super-charge your mobile conversions. One of those is the powerful InactivitySensor™, which detects user behavior on mobile so you can deliver a targeted campaign at the precise moment they’re about to abandon your site for good. The Eczema Company switched to OptinMonster for their mobile campaigns and now converts 13.76% of all mobile visitors. Of course, even the most powerful lead generation tool won’t help you if it doesn’t work together with your existing marketing stack. After all, it defeats the point of automation if your software solutions don’t work together automatically. So how do OptinMonster and Thrive Leads measure up when it comes to integrations? Both offer integrations with the most popular email service providers like Mailchimp, Constant Contact, AWeber, and many more. But if you’re looking for support for more advanced software, Thrive Leads won’t help. …none of which Thrive Leads offers. Plus, OptinMonster also offers webhooks and custom HTML form integrations, so you’re never limited in what marketing technology you can use. 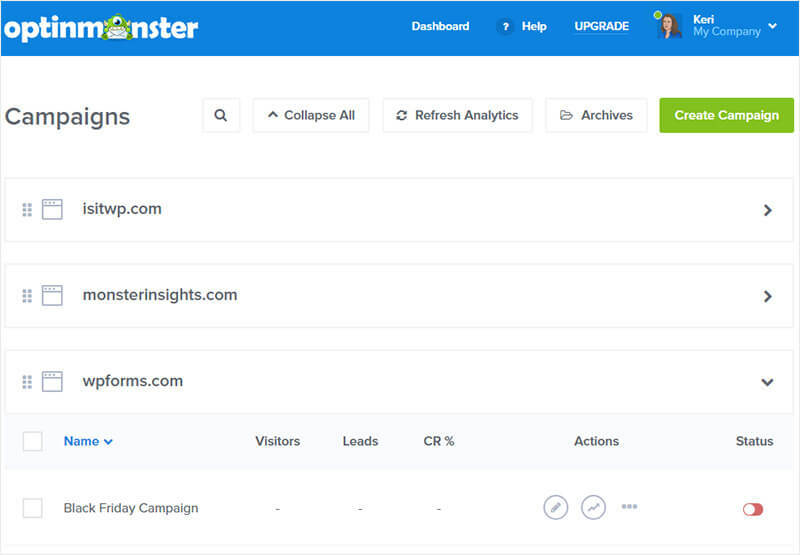 That’s not all – you can also add as many integrations as you want to each campaign with OptinMonster Lead Sharing. This feature makes it ridiculously easy to automate internal lead management, or share leads with joint venture partners. …then Thrive Leads does NOT make it easy for you. Thrive Leads is strictly a WordPress plugin, so managing multiple sites is a hassle because everything is separate. If you have multiple users on your WordPress site, and want to limit or control how they can edit your campaigns, there is no way to do that. 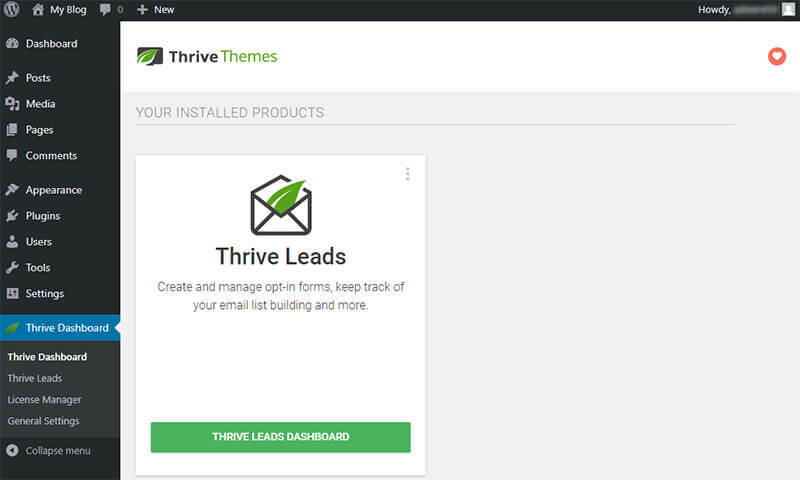 Anyone on your site with Administrator access will have complete access to all your Thrive Leads campaigns and settings. And if something goes wrong, you’ll have no record of who did what. This is a very dangerous risk for anyone with multiple users on your site. On the other hand, OptinMonster gives you plenty of account management features to organize your campaigns and manage multiple users. As account administrator, you can set user roles to decide who else can view, create or publish campaigns. This is a great feature for agencies, who can give each client access to their own campaigns while preserving the privacy of other clients. Plus, there’s also an Activity Log so you can monitor every action taken on your account by each user. With any software, it’s important to have access to fast and helpful support if you have a question or need help. Let’s take a look at how OptinMonster vs. Thrive Leads documentation and support measures up. 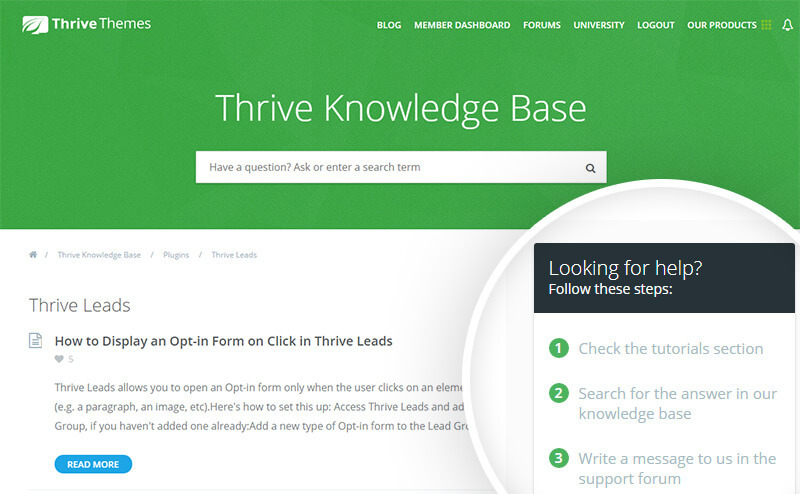 The Thrive Leads plugin is by Thrive Themes. Thrive Themes has documentation on their site to help you get started with their themes and plugins. Unfortunately, many of their tutorials are available in video form only. If you need written documentation for accessibility reasons or simply because you prefer to read instead of watching a whole video, you won’t always be able to find the help you need. As you can see in the screenshot above, if you need further help, you’ll have to post in the support forum. You can post your issue or question as a new thread, and get a response from a Thrive Themes team member. Keep in mind that your thread will be visible to all other Thrive Themes members, so you’ll need to be careful not to post private information in the forums. So, which WordPress popup plugin is the best choice for you? 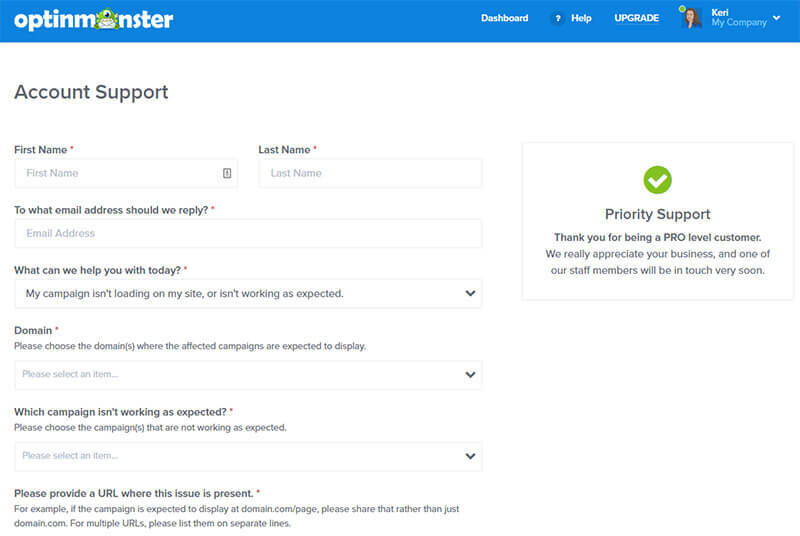 OptinMonster’s more powerful features like Campaign Scheduling, Onsite Retargeting, enterprise-level integrations, account management features, and more are incredibly effective for growing your email list, generating leads, and instantly lifting revenue.